After being out and doing a night shoot in Paris, I couldn’t sleep and awoke to the birds chirping outside my window and set out to see if I could capture a great sunrise! An unobstructed view of La Bonne Franquette & Le Consulat; taverns that Picasso and other artists routinely visited! 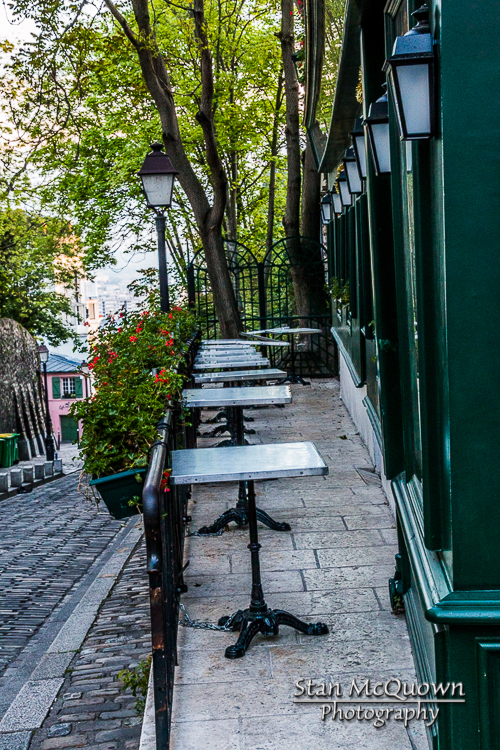 The side cafe seating of La Bonne Franquette looking down Rue des Saules to La Masion Rose at the corner below! 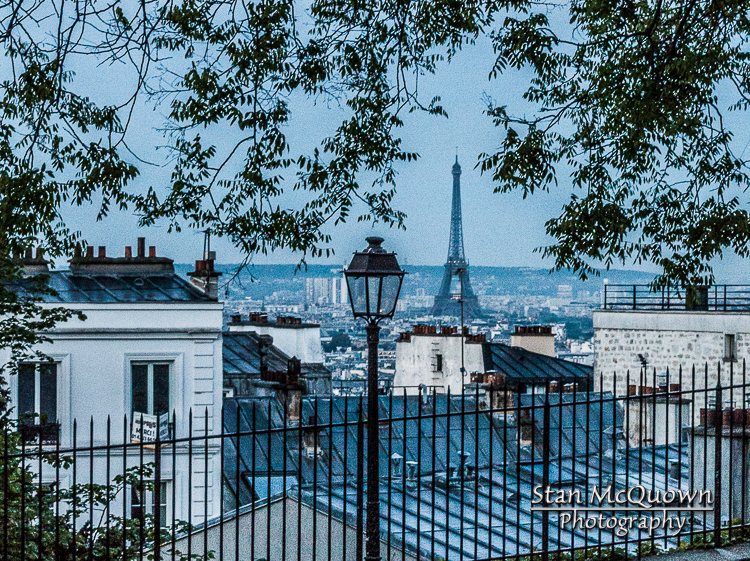 Eiffel Tower and street lamp from the Square Nadar! 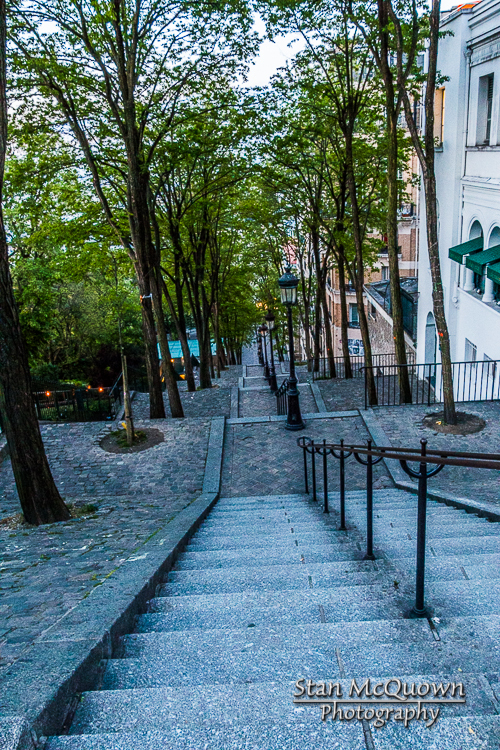 A rare scene of no one walking the stairs of Rue Foyatier! 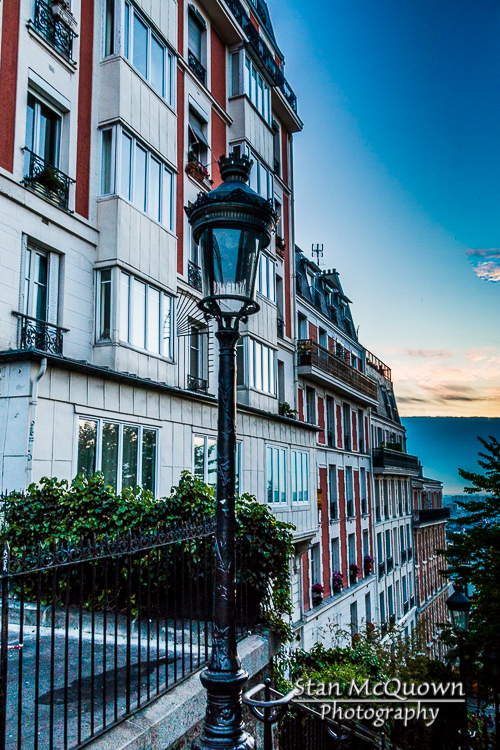 Street lamp and the stairs leading down Rue Muller at sunrise! 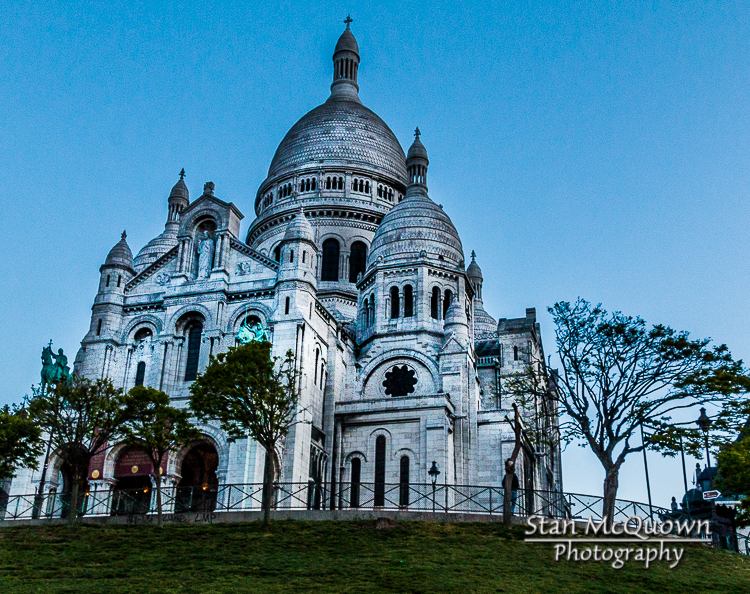 Sacre Coeur waiting for the first sunlight! 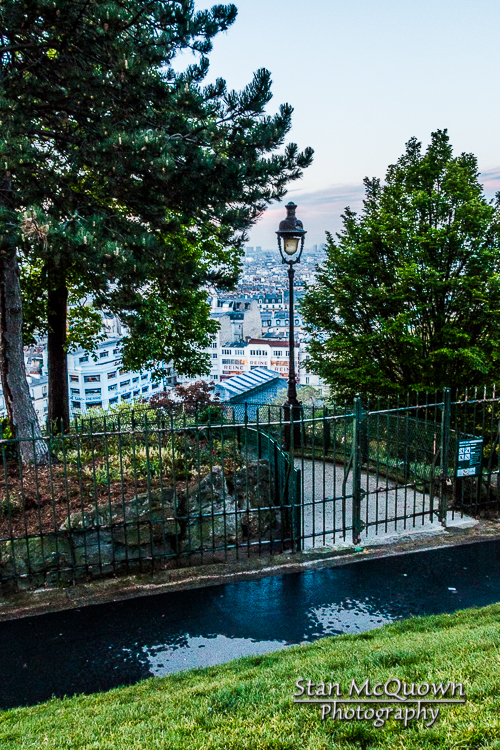 Street lamp and the beautiful gardens of Sacre Coeur overlooking Paris! 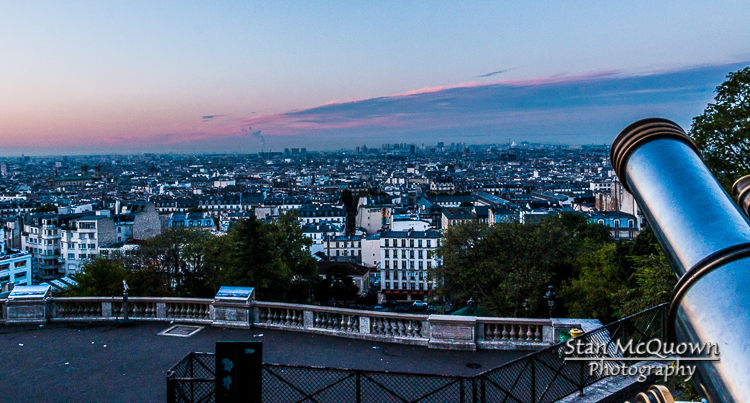 Some sunrise color over Paris at the footsteps of Sacre Coeur! 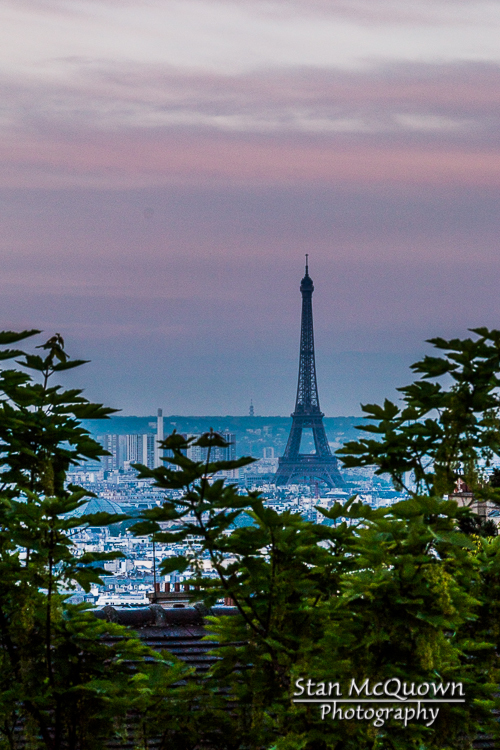 Sunrise hitting the Parisian sky! 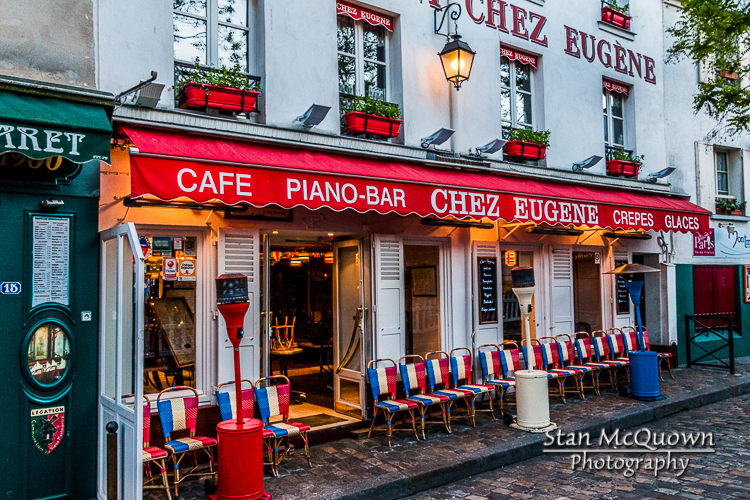 Cafes starting to open for the day at Place du Tertre! 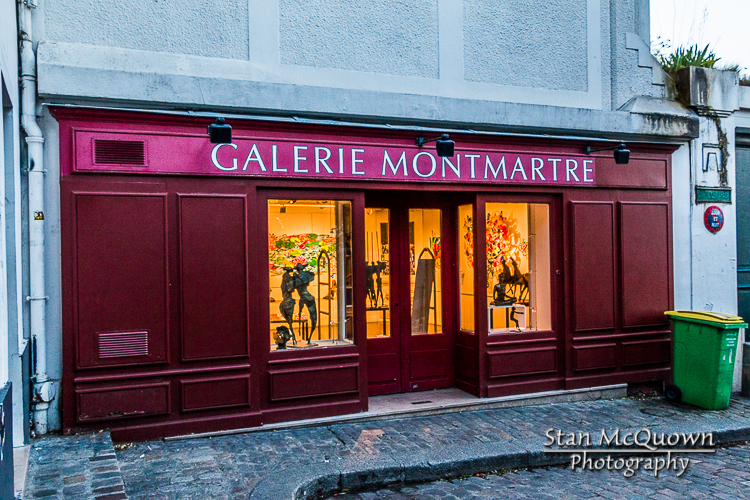 Another day for the Galerie Montmartre! 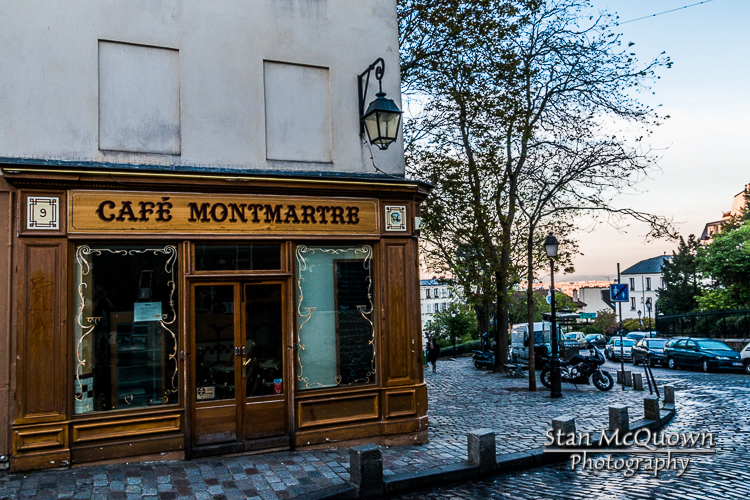 Cafe Montmartre still in the shadows as the sunlight starts to hit Paris! 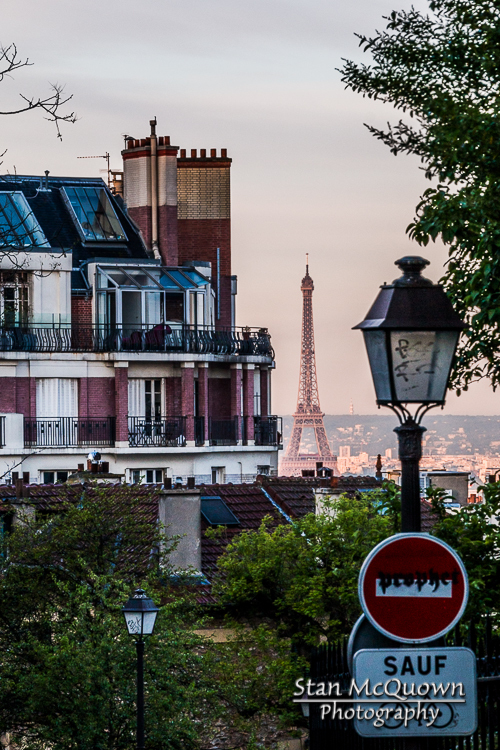 From Rue Lepic the Eiffel Tower is now basking in sunlight! 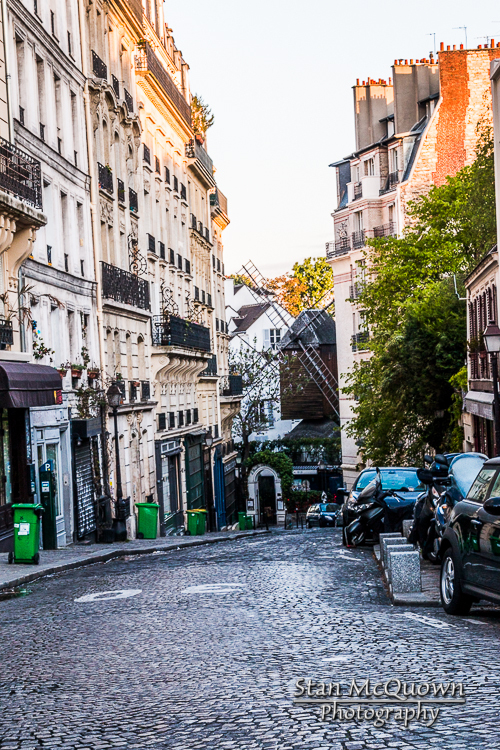 The Moulin de la Galette on Rue Lepic is still in shadow as the taller Montmartre buildings catch the sun! 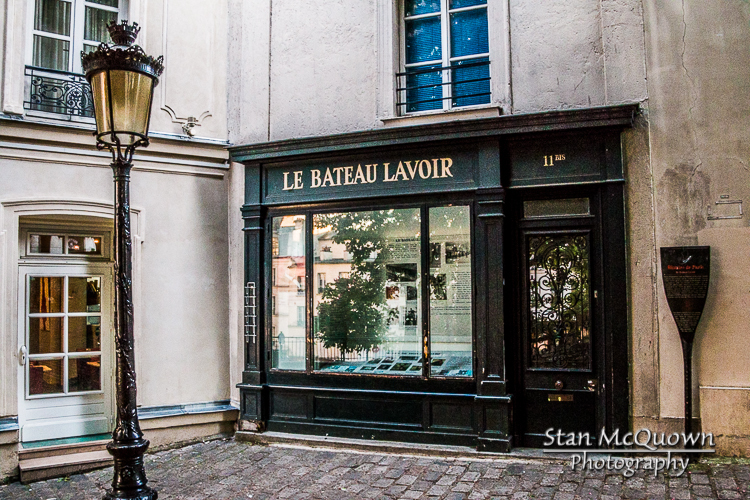 The windows of the Le Bateau Lavoir showing the reflection of sunlight from across the square. Picasso had his studio here, from 1904 – 1909, with other artists including Fernande Olivier (whom he met there and had a relationship with for 7 years), Kees Van Dongen, Juan Gris, Amedeo Modigliani, and Jacques Vaillant, among others. 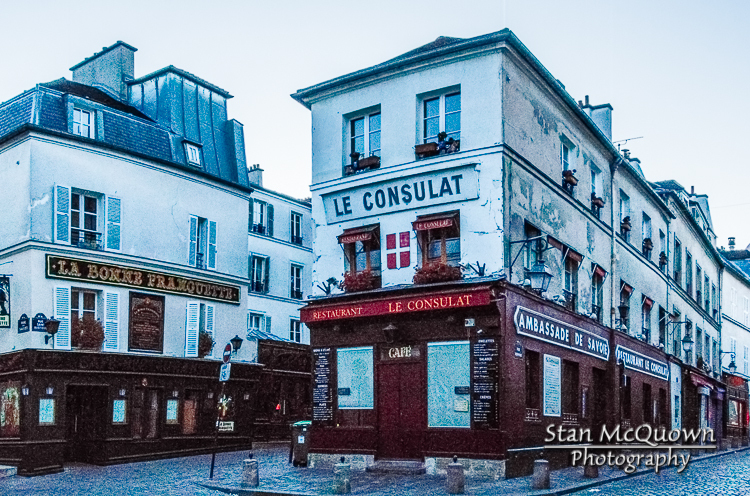 Many called this the “birthplace of cubism”!